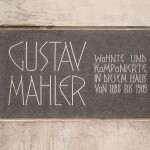 Gustav Mahler (1860-1911) was born in Bohemia, was educated in Vienna, worked in several cities in Europe, and then spent ten very influential years as director of the Vienna Court (today, State) Opera. 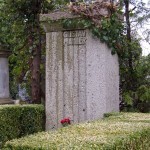 He died and is buried in Vienna. 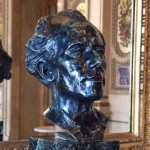 Mahler at the Vienna State Opera House. Mahler worked here from 1897 to 1907. 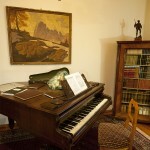 Today his piano is on display as is a modern portrait. 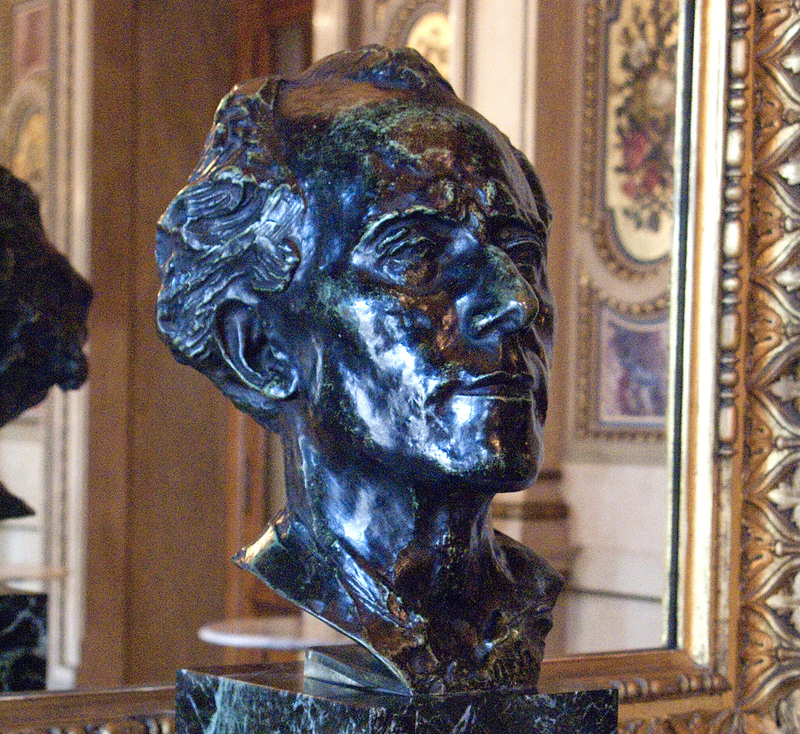 But the most famous monument to Mahler is the bronze bust by Rodin, on display in the Schwind Foyer. Mahler’s Apartment. Where he lived when he was the director of the opera. The famous photograph of Mahler walking with his hat in hand was taken as he walked from his apartment to the opera house. Today, the apartment building can only be seen from the outside; it is not open to visitors. 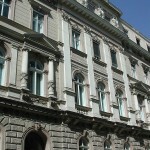 The building where Mahler died. 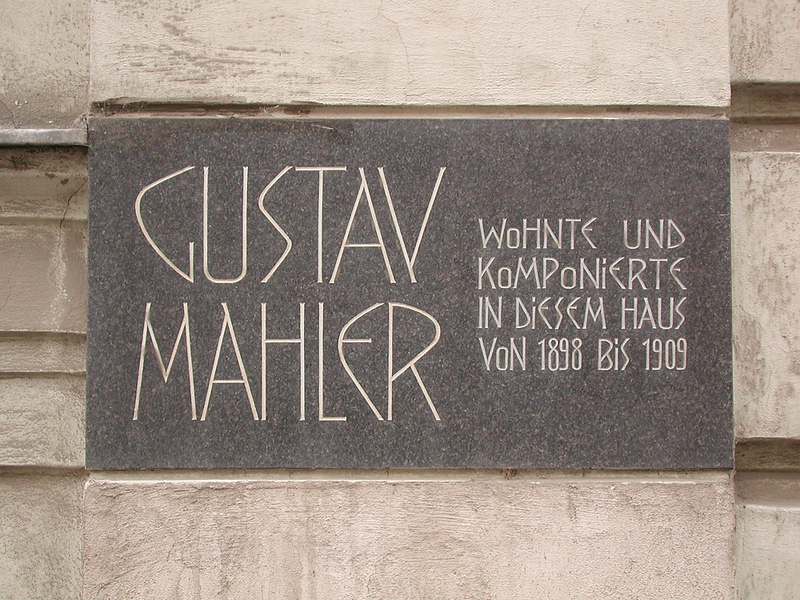 Mahler died in a sanitarium on May 18, 1911 in Vienna’s 9th district. 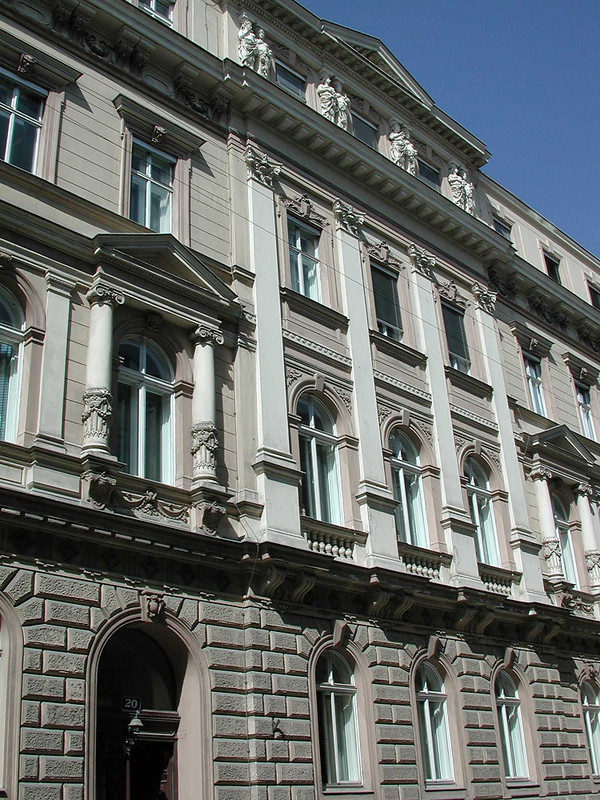 Today the building is home of the Austrian Railroad Offices. 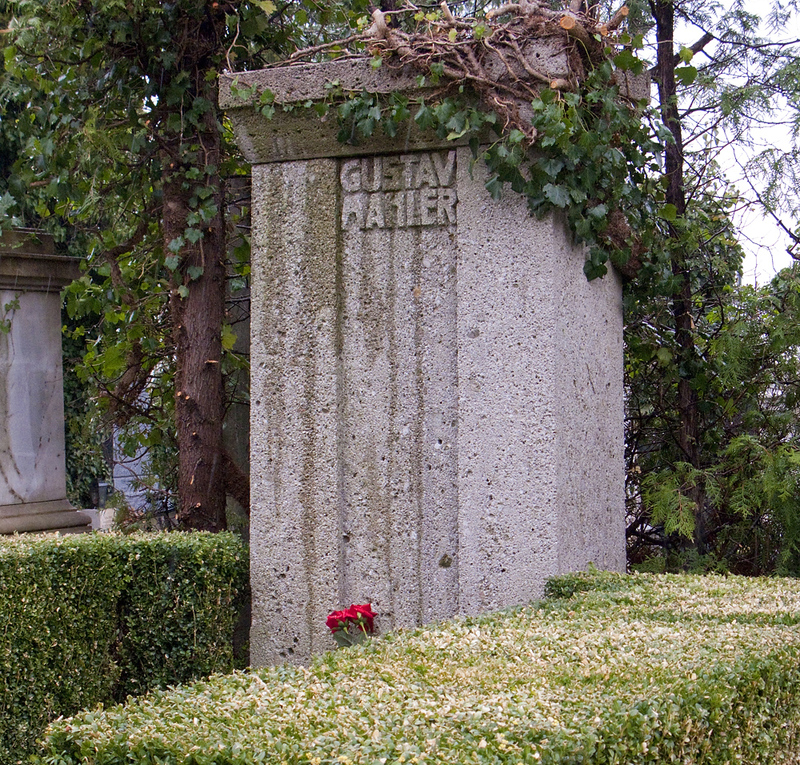 Mahler’s Grave. In the 19th district in Grinzing Cemetery. 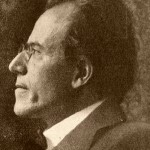 Mahler Composing House. 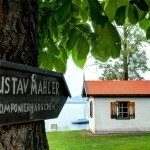 Mahler spent several summers in this little village on Attersee in the Salzkammergut. 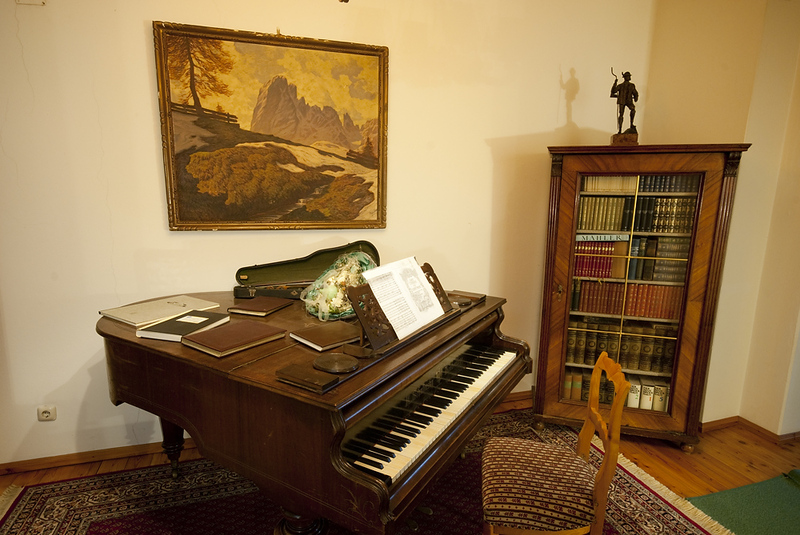 He built this little one-room house to compose in, and it was here, out in nature, where he wrote parts of his 2nd and 3rd Symphonies. Mahler Room in Seefeld Hotel. 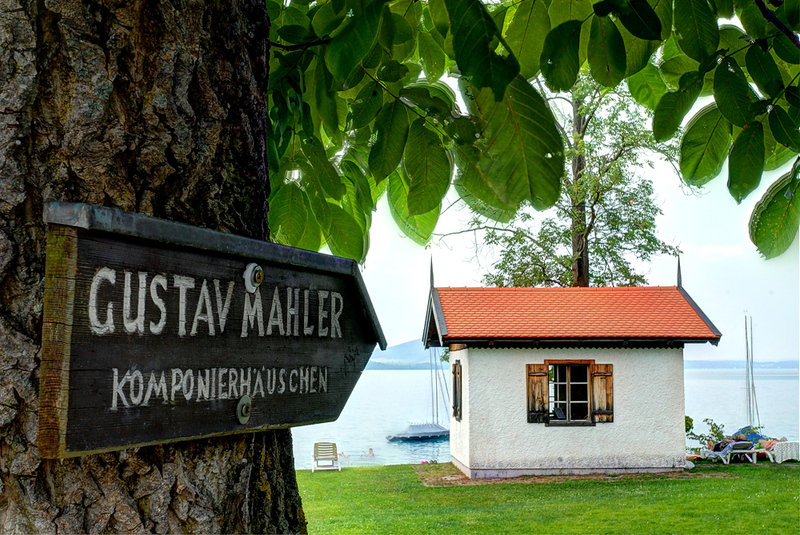 In the hotel next to the composing house is a room dedicated to Mahler. There is also a plaque in front of the building. 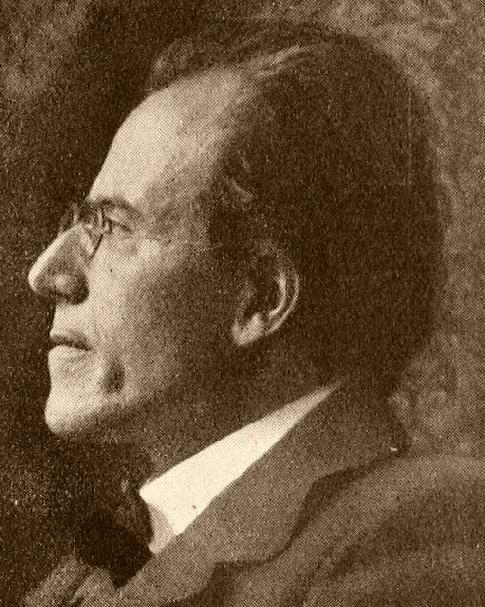 Read Dr. Nelson’s program note on Mahler’s 4th Symphony. i visited many times Vienna and also Salzburg, so i can renmeomcd to you both cities. i can also tell you that 1 day should be enough to visit Salzburg, but try to read something about key-points to visit before going there, so you’ll save a lot of time.and then go to Vienna, 2 days won’t be completely enough, but you’ll manage to see most interesting places there for example: Schloss Schoenbrunn, Parkhotel Schoenbrunn, Stephan’s Dome, Kaertnerr Strasse, Mariahilfe Strasse, Hofburg, Belvedere, Prater Park.enjoy it!